We recently held our All Hands Meeting, a chance for the TRS Teachers to get together, talk about the company and the direction it’s taking. As part of the meeting, the TRS Teachers shared the best things that have happened to them this year. We’ve been gradually sharing them on Facebook for the past month, but thought you might like to read them in one go. I had a magic moment today at Gillingham Age UK. It was only brief and fleeting, but magic all the same. I don’t know if this lady is there other days, but on one of the middle tables near the window there is usually sat a lady who sits and doesn’t appear to join the exercises as much. Well, on this particular day, during a Doris Day song… I caught her eye, and actually caught her singing along to the song!!! She didn’t join in with any other songs, nor did she dance, but to see just a little twinkle in her eye and joining in just a tiny bit was fantastic. Sadly she did then return to her word search when the next song started. But I am definitely going to use “Whatever Will be Will Be” again. One of the children I teach at Wrotham Road Primary has been struggling to skip for some time, but the other week he finally learnt how to! I was so proud! We started with hopping and turned it into skipping. At Warren wood where I teach street dance, the girls in the class come in saying ‘’I’ve practiced the dance!’’ It’s so sweet to hear! In Active Armchairs I have recently been using a tambourine. I tap a rhythm and the participants clap it back to me. They then all get a turn! It works really well, and they really like it! At Lulworth House there is a lady who always joins in active armchairs and is usually really enthusiastic. One week, however, she wasn’t feeling herself sadly. So I wondered what I could do to get her more engaged. As the lady is from Spain, I decided to put some Ricky Martin on and she loved it! At World Book Week this year I was at St Mary’s Primary School. With one class my theme was ‘space’. 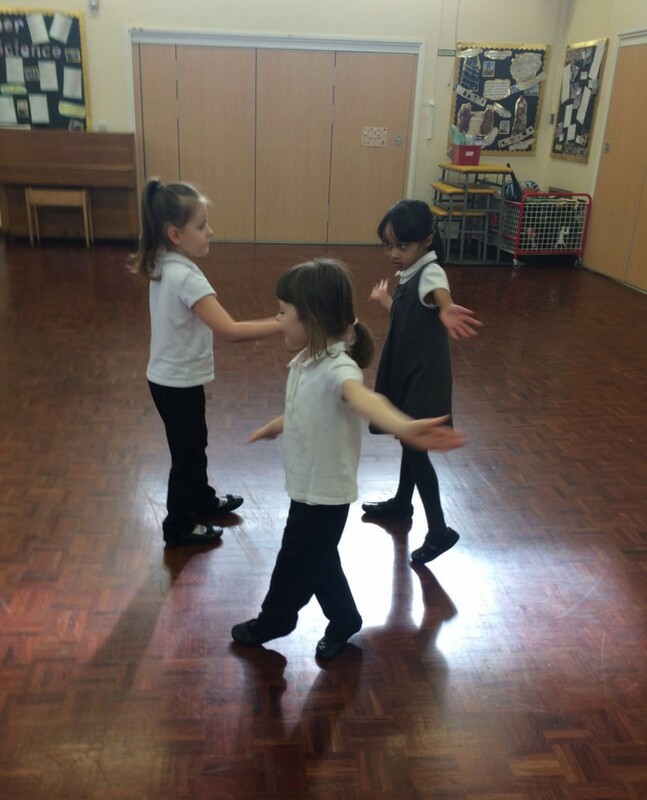 I asked the children to become planets and create their own solar system with movements. For example I used words like orbit for turns. It was fantastic. They were so involved and imaginative. It was really lovely to see all of the boys and girls working together! At Hoo Primary School recently I had a really good day there! I was so impressed to see as I walked into the school the girls were there ready and practising their dance. It was lovely to see how excited they were! Active Armchairs amazes me everytime. Even when it’s a harder session, you just see them move the slightest bit and it’s just beautiful to see them come alive with the music and movments. At Byron Primary School, I have been doing a carnival theme. I use feather props and everyone takes turns in being the leader. However, usually there is one girl who is a bit too shy to be a leader, but she still joins in and follows. Well, last week I couldn’t believe it, she was so excited and enthusiastic to be the leader of the group! It was so lovely to see, and her mother was asking how she had been, and she was surprised to see her confidence grow too! I went along to watch Steph’s active armchairs class at Mayflower Care Home. There was a lady there, and all of I sudden I noticed her standing up. She was dancing and boogieing all the way over to the window. Then she danced with all the other participants on her way back to her seat! 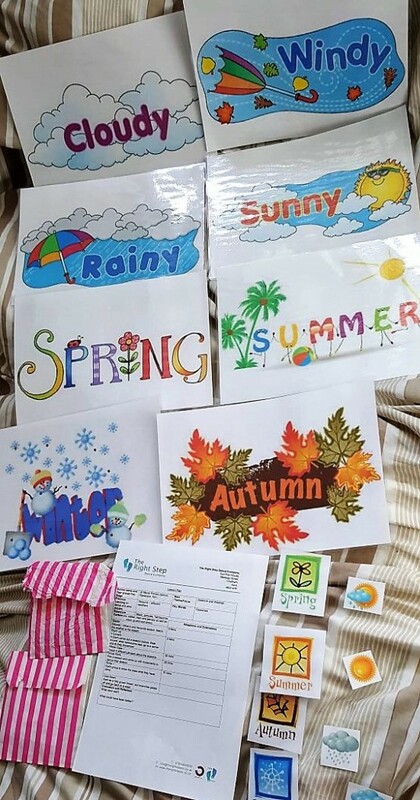 The other week I was covering a class for Steph at Abbotsleigh Care Home. Then the care worker asked me if we could do the ‘Cha Cha Slide’. I was a bit surprised to be asked this! And in honesty I never would have thought to do that song in Active Armchairs, but I gave it a go, and it was fantastic. The residents really loved the beat and all of the care workers came in and did the dance for them. It was lovely to see everyone smiling and having fun altogether! I go to Valley View on a regular basis and so I have made some lovely relationships with the residents there. One lady, sadly has quite a bad memory but this never stops her joining in. And what I love most, is that she remembers every single song I play and sings along to them all! Most of which bring back lots of lovely memories for her! 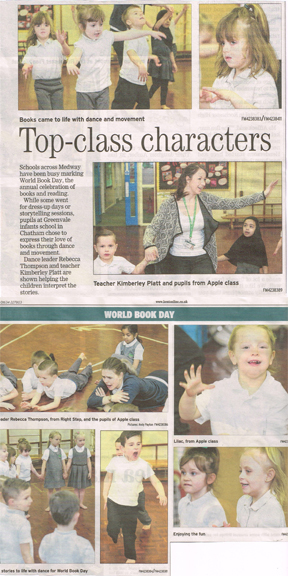 Our World Book Day classes made it into the Medway Messenger twice and the articles are below! Thank you to all the schools involved in the World Book Day classes. The week was fantastic fun! Press Control on your keyboard and scroll your mouse to make the picture bigger! This is our third year at St Mary’s Primary School. Their dance week is always fantastic and this year has been no different. The dance sessions are based on world dance styles or themes from the class room such as Weather or Aliens in Space! Steph, Sophie, Rebecca and Shanice have all been to St Mary’s this week. It’s been busy, but great fun. At the end of the week one group from each class will perform to the school, I’m sure the show will be brilliant. get warmed up, we learnt some steps in a circle that we put into the sequences later. Then to get heart rate up and laughter flowing we had a follow the leader the dance with the whole class. We skipped and clapped along to the music as the leader led us around the room and then stopped to make an arch. The line feeds through the arches and a new leader is formed to start over again. 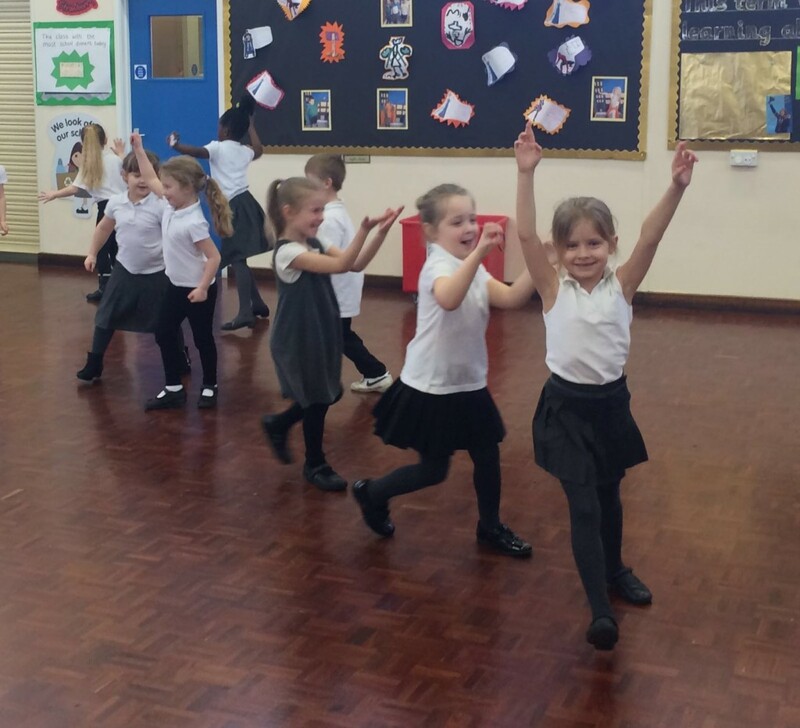 Both classes then learnt ‘This Old Man’, a dance which is danced with partners in a circle or line and at the end of the sequence you swap partners as country dancing is a social dance so you dance with as many different dancers as possible. Once they mastered this the first class learnt ‘The Black Nag’ and the second the ‘Indian Queen’. They were both longer sequences and had more complicated steps and patterns. However, both classes did extremely well and when watched their peers perform. They had lots of praise for each other and could see the patterns made which they couldn’t see when dancing themselves. I liked the arches and follow the leader dance. I liked dancing in small groups, it was easier as had more space. I liked crossing hands with my partner and turning around. I liked the heel toe dance as I knew the music (This Old Man). African Gumboot is all about creating rhythms by stamping and making noise by hitting the sides of welly boots because the style comes from miners communicating with each other with secret rhythms as they weren’t allowed to talk. To start our workshop we walked in the space and, when I stopped, the class had to stop, listen to my rhythm and Echo it back to me. This really worked to get the class listening as I made the rhythms longer and complex. I then taught 4 phrases of Gumboot which had 4 different rhythms, we practiced and practiced so that the whole class had it and all you could hear was the rythm. The class then got creative! In small groups they chose one of the rhythms and made up there own. They had to think about making it look interesting so had to think of a formation to stand in. I was amazed at what they came up with! Brilliant ideas and most groups came up with a new way of making sounds. For example, sliding dragging foot along the floor. I wanted to use all their great ideas so we put an idea from each group to make a whole class dance to finish the workshop with a stamp! I liked working with other people and coming up with own rhythm. I liked learning about Gumboot dancing and the rhythms. I liked putting it all together to make a whole group dance. It was good to watch everybody’s dances. 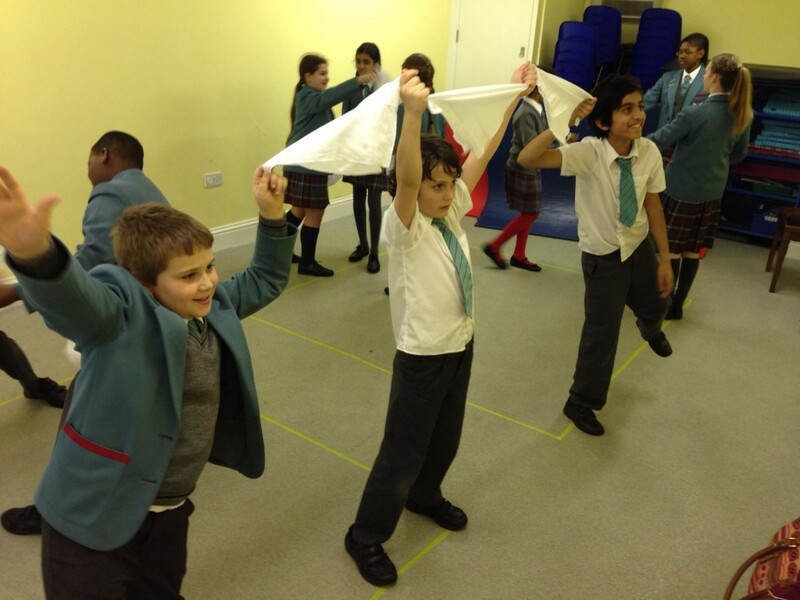 In Year 6 the dancers used hankies to support siblings as they travelled to Yorkshire. Year 4 were welcomed into the room to find a giant spider web made of wool! For more about World Book Day click HERE. TRS Teachers Sophie and Rebecca went to Greenvale Infant’s this week. I was lucky enough to visit on of the Year 2 BFG workshops. You can see the video of that below. I couldn’t wait to start planning for my sessions based on The BFG as this was one of my favourite books growing up and it still is! I decided there was no better way to start the session then sending the class into the actual story and put themselves in Sophies shoes! We lie asleep, trying not to make a sound and then the music starts with a crash and a bang! What’s that? We tip toe to the window to peer outside into the Witching Hour where we see the most horriblist and ugliest Giant of them all – The Fleshlumpeater! Children run and hide under their duvet (my parachute! ), squealing with fright and excitement! We then met the BFG and Sophie and came up with descriptive words for their characters, everything from what they look like down to their personality. As a class we put actions to each word and created a phrase for each character. The BFG had tall, big, bouncy movements while Sophie had tiny, creeping and delicate movements. 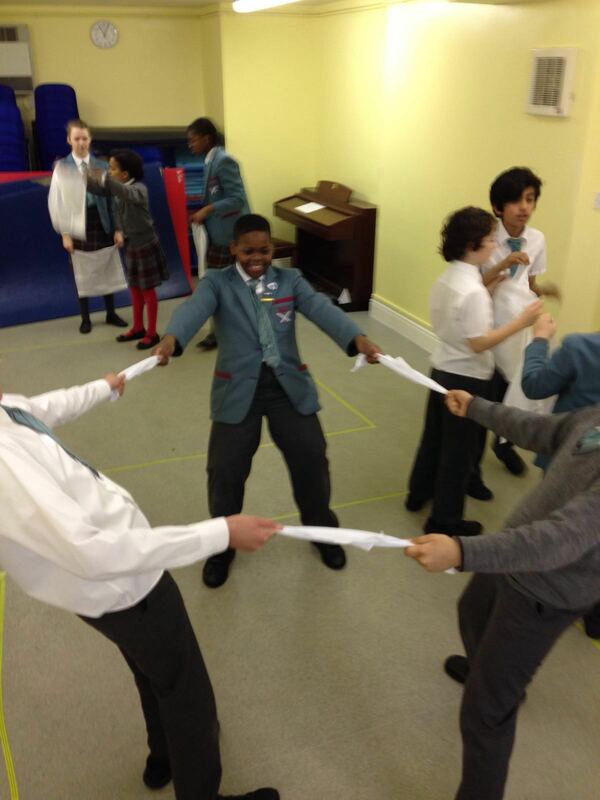 The favourite exercise of the session was undoubtedly The Dreamcatcher Game! In pairs, one dancer was The BFG and the other was a Dream. The BFG had to try and catch the dodging dream! 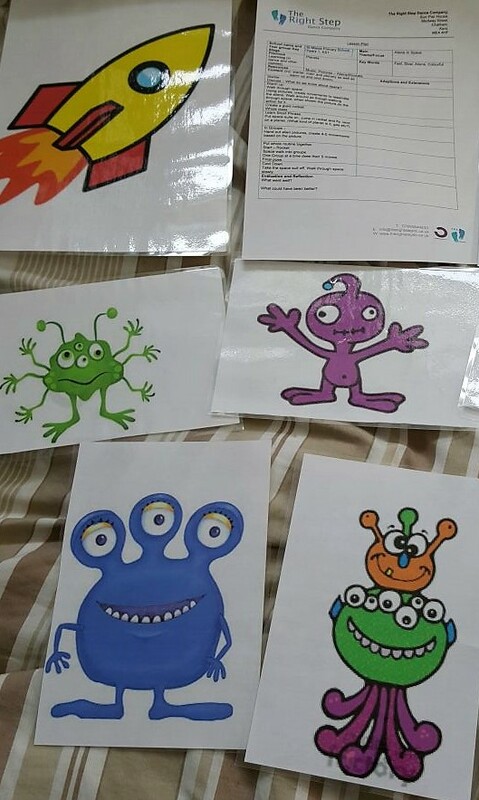 For group work we created a dream or a nightmare sequence, each group had to choose which one they wanted to create and from their starting position the rest of the group had to decide if they had created a lovely, floaty dream or a frightening nightmare! I felt this was a real success as each group used different qualities of movement to match their chosen dream and the rest of the class successfully guessed their creation. I visited Greenvale Infants to teach them the wonderful themes of Roald Dahl stories through using creative dance. The stories danced were The Magic Finger , The Enormous Crocodile, The Giraffe, the Pelly and Me, and The BFG; to Nursery children up to Year 2. Not all the children had read the stories, which made it very exciting – as they really needed to use their imaginations to guess and use their movements to explore it’s themes. The nursery children focused mainly on the magic and transformation! By learning a short phrase using their own “magic fingers” to connect with their friends by touching their fingers together, then transforming by wiggling and shaking all over into either a low slinky cat with scratchy arms, like the teacher in the story, or grow wings to glide and flap arms like the Greggs. Or even a waddling duck, like the ones who take over the house in the story. What topped of the session was asking the children dance to “Hooked on a feeling”. Using their jazz hands and jumps to show what it felt like before the magic zapped out of their fingers, then travelling around the room touching fingers and transforming their friends, and copying each other. 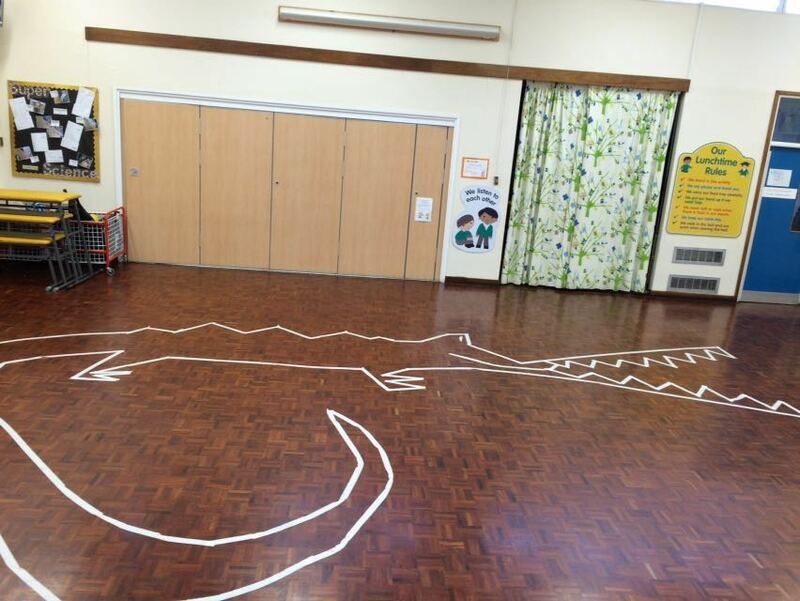 The children walked into the room to find, much of their surprise, an Enormous Crocodile taped out on the floor. The children had to describe what he looked like, from his teeth to his tail, and move like the word they used e.g. zig zag teeth and swishy tail. Then the children were introduced to each of the animals in the story and heard how the crocodile was tricky and sly, and sometimes bit the other characters. We explored how these animals might move in the story, such as Trunky would hop and use is trunk to reach in & out; Monkey would swing and jump from tree to tree; Roly Poly bird would fly and her feathers would drift and float in the wind. The children then learnt what tricks the Enourmous Crocodile used to try and capture children (like them!) to swallow them up. The Reception children did a fantastic job suggesting movements and remembering the dance at the very end that we made all together. Using lots of the words and phrases from the story and pictures of the characters, the dancers used so much imagination and were all transported into the jungle. This is one of my favourite stories when I was little, as I had loved that the story was about working together to achieve your dreams. For this story the children went on a journey to Grubbers (an empty shop) where we entered Billies dream of owning his own Sweet shop; we moved like the sweets by twisting like candy canes, popping like crackle candy, wiggling like strawberry laces, and by sticking and stretching like chewy sweets. Then we met the Windowless window cleaning company (Giraffe, Pelly & Monkey) and the children suggested ways we could stretch and reach to show the Giraffes growing magical neck, climb and wipe in patters (circles/zig zags/ up & down), and lastly the scooping and flying of the Pelly using down & up motions. 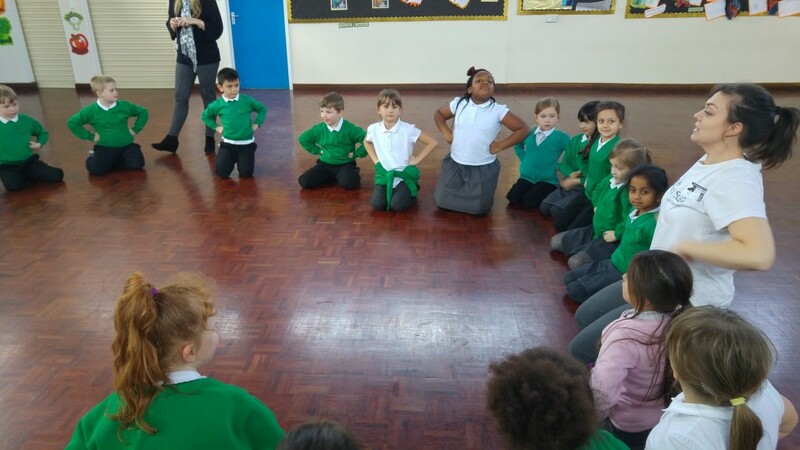 The class follow the story to a game of catching the cobra, where they had to take care and work with each other to stop the jewel thief! 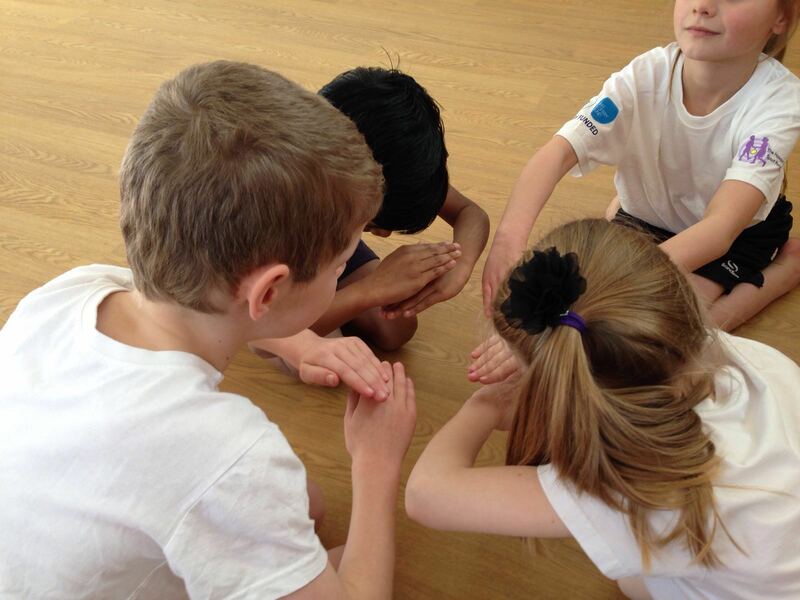 Since the main focus was on team work, the children formed trios using a shape (still as a picture in a book) and had to really listen and work together to create their very own dance using the characters movements to show them working as a team to clean all 677 windows of the dukes house. The children did fantastically well, and really enjoyed using the Pelly and monkey movements to travel around the room. The children all managed to listen and work successfully in their groups, much like the Ladderless window cleaning company. 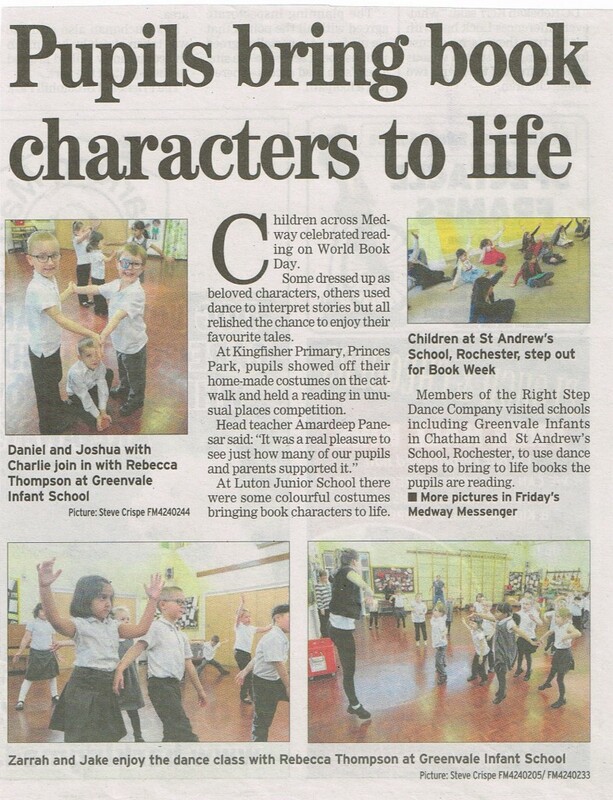 World Book Day – A Week of Dance! World Book Day is today, Thursday 3rd March 2016, but we’ve been celebrating all week and will continue tomorrow as well! World Book Day is a festival of the imagination and aims to get children reading more. There are books available to buy for just a pound and almost every school in England celebrates with things like dressing up as book characters! The TRS Teachers have been working in four schools this week with the specific aim of celebrating World Book Day. 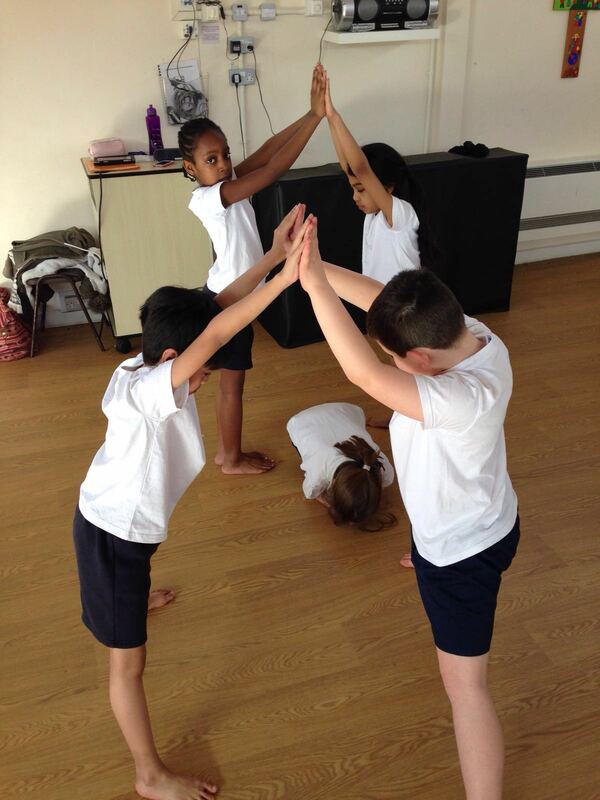 St Mary’s Primary School have linked dance styles from around the world, as well as out of this world, to their books. Greenvale Infant’s School used Roald Dahl as their chosen author and each year group had a different book to explore. At St Andrew’s School each year group also had a different book to explore and they included The Three Little Pigs, Kensuke’s Kingdom and Snow White and The Seven Dwarfs. At Singlewell Primary School books included my favourite, Harry Potter and some fantastic movement based books, Giraffes Can’t Dance and We’re Going On a Bear Hunt! We really enjoy our work, but knowing that people around the country are also celebrating World Book Day makes this week even more exciting. 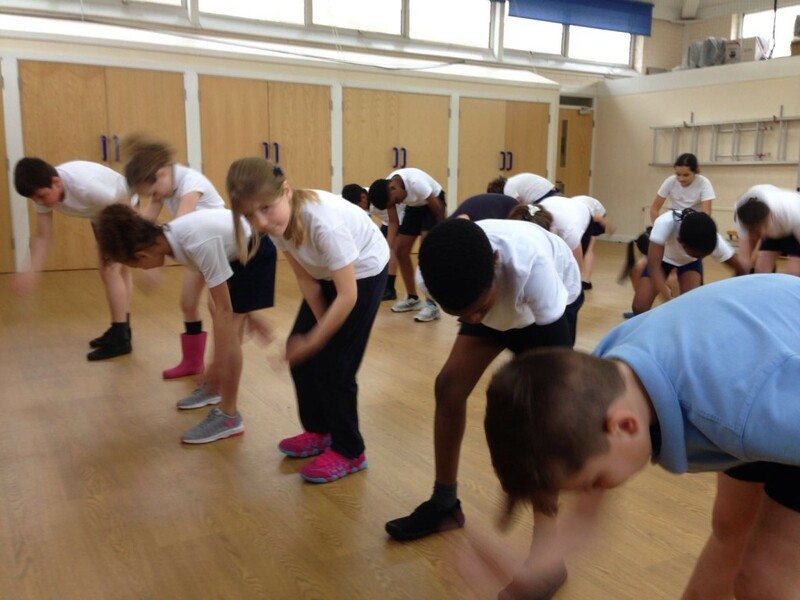 The cross-curricular dance classes are part of our ‘Educating Dance’ programme and make the dance classes we teach even more valuable to pupils, teachers and schools. 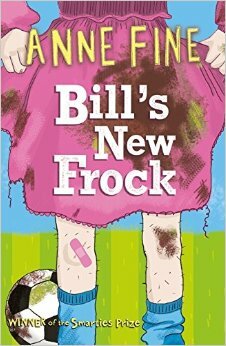 The books will be explored in a fantastic new way and the pupils will be physically active and having fun learning. Personally, I’m most looking forward to hearing about the Harry Potter sessions. They are my favourite books! I was going to write one blog post about the entire week, but there is so much to say, so many photos and so many quotes that instead we’ve separated them. Click below to be taken to the posts that the TRS Teachers have written.